MX22 Flower Tribute Wreath with mixed seasonal flowers accentuated with green cypress foliages delivered to funeral services in Melbourne. Same Day Flower Wreath delivery to funeral at church, botanical garden, cemetery or as tribute wreaths delivered to Melbourne Homes. 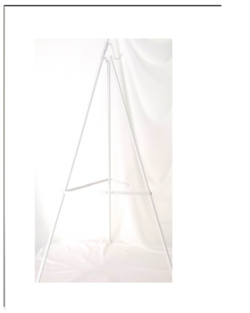 Wreath Stand can be ordered separately below. 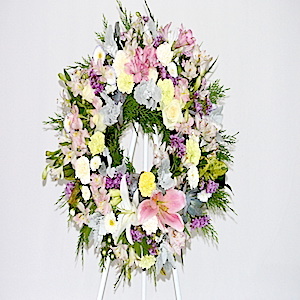 Flower Wreath with mixed seasonal flowers and green English Box Foliages.